For those not into the actual lore of the game, the base of the event builds upon Salomé, the protagonist of Drew Wagar’s books that are the official lore of Elite Dangerous. Salomé, formerly the disgraced Senator Kahina Tijani Loren, is wanted by the Empire. She is accused of terrorism and is a convicted criminal, found guilty of the attempted assassination of Fleet Admiral Denton Patreus. 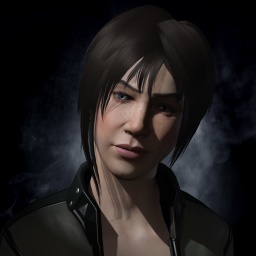 Her co-conspirators; CMDRs Raan Corsen, Tsu Singh and Yuri Nakamura are also wanted for aiding and abetting her in her plans to destabilise the galaxy. So far they have evaded justice and remain at large. Intelligence reports indicate that they will be attempting to reach an unconfirmed destination in the heart of the core worlds (the bubble) for reasons unknown aided by disaffected factions and other malcontents. This event was not an official ingame event by Frontier, but rather organized by Drew Wagar himself. To make the whole story even more interesting, Salomé has been to the Formidine Rift and discovered a big secret that she promised to reveal if she gets back to the bubble. Commanders had the option to either defend her, or actually try to kill her and earn a bounty of 5,000,000 credits. The planning was done via discord and unfortunately, the whole procedure showed one big negative side of the Elite community that usually is very friendly and helpful. Thousands of commanders were there to help but the organizers had their own vision of how things should be done so many commanders just gave up because they were told a specific way of playing the game (such as bringing special ships without weapons or the fact they will be shot on sight if they don’t make it into the “special” list of allowed commanders). On the other hand – the most notorious PvP group, The Smiling Dog Crew (SDC) managed to gain Drew’s trust and actually position themselves as bodyguards for the event. Anyone that’s been around Elite knows they are masters of trolling and PvP, that very often abuse various ingame mechanics to show how the game is badly balanced or to expose various bugs that the game keeps getting launched with. So basically, everyone saw the “treason” coming from miles away. With the community divided flooding the instances, SDC members started an extra commotion by calling specific commanders spies and traitors to disrupt the defences even further. Finally, after joining the defending wing, Cmdr Harry Potter deployed his weapons and quickly finished Salomé’s Imperial Clipper ending her journey. During all of this, Frontier servers showed how the whole P2P infrastructure can’t come even remotely close to handling so many players online. People reported a huge number of connection issues, interdictions that end without the opposite player ever showing up, long jump animations and loading screens… even to a point where the servers actually crashed and were offline for some time. It just shows how, unfortunately, Elite: Dangerous cannot handle a big number of players in its current state, and is in dire need of a netcode rework. Unfortunately, with the way Frontier has been pushing patches lately, this will most probably never be fixed. But, back to the event… With Salomé dead, Drew Wagar held his promise of playing an “Iron man” character, and her death will be noted in his next book, Elite Dangerous: Premonition, for which this whole thing was planned for in the first place. The idea of players writing history/lore is amazing and should be done more often, especially in Elite, where we really get so little actual story content. If you just stumbled across this message, nothing of what I am going to relate will make any sense. My advice? Don't read on, kill this holofac now, don't go looking. You really don't want to be involved, trust me. Just fly on like nothing happened. People will kill you for knowing. If you found this because you were led here... congratulations, you must be reasonably smart. I don't know what you were expecting, but this probably isn't it. There's no payoff my friend, there's no money to be made. You haven't won. You may have just made things much worse for yourself. If there is any fame to be had it is what you make of it, maybe some chronicler will immortalize you in the future. I put this message in this system for a reason, the old lore will tell you why. I'm not the first and I'm not the last. I'm old now and it will soon be time for another to take my place. Maybe it's her who has led you here. If she's anything like me she'll be one feisty little lady, hope you had fun. By now you'll have been to the hind-end of space looking for, well... something. Guessing you found it. I make no apology for all your trouble, you decided to go out there, same as me. I don't know what tech you have in the future to make that voyage a little easier, but I spent years following this, trying to unravel it all and so did many others before me. You weren't alone, suffering that boredom and loneliness in the void. Don't expect any sympathy, no one told you to go. Decide for yourself if you think it was worth it. But I figure I owe you some kind of explanation. So here it is. They know. They've known for decades, maybe centuries. There's something out there and it's heading this way. Everything you've seen; all the wars, all the investigations, all the abductions. It's their way of getting stuff done, getting things ready, keeping things quiet. You don't build a fleet of warships for no reason - too many questions get asked. So you manufacture a threat, you start a phony war. You keep the populace amused with any diversion you can think of. You play powers against each other, you boom and bust the markets to tilt the economy. Anything to stop people looking at the real issues. Who are they? Don't go thinking this is the Feds or the Imps or even the Alliance. It's way beyond all that. Most of what you think you know isn't true. It's all a fabrication, woven by those who have appointed themselves the protectors of humanity. They've been keeping us all in the dark, hiding the truth, secretly prepping for a confrontation. If you're unlucky enough to stumble upon a part of it, they simply remove you. A shadowy revolution that decides what to reveal and when. But that's not all they've done. They had all manner of contingency plans drawn up over the years. Maybe they had a premonition of failure. If you've got this far you'll have read the old lore, you know there was a conflict with an alien race. Yes them. You know what they were capable of in the past. Who's to say what they could do now? Our so called protectors thought the core worlds might be overrun. Maybe we might need somewhere else to go. That's what they were looking for out there in the void. Somewhere to flee to, somewhere to run and hide. An Exodus, the Dynasty plan. So they sent out ships, lots of ships, looking for earth-like worlds in the far reaches of the galaxy. You know where, you've been there. When they had that data they planned to kill the crews and bury the missions. Some kind of suicide pact. No one was supposed to know. Some of those poor souls managed to survive for a few years it seems, marooned in the blackness, but none of them made it home. If you're here you've probably fond what was left. But they didn't tell use lebs about this. No, not a word. They claimed it would cause riots, panic and confusiong if the truth ever came out. Maybe they were right. So they lied, time and again. But you can't lie for ever, truth is a dangerous thing. I figured someone should know the facts one day. So now you have it. What you do with it is your business. Could be they have let you find this message, maybe the time is right at last. Maybe there is nothing left to hide anymore. I don't know if I've played them, or they've played me. There's probably one last question burning in your mind. I know I'd be asking it. How do I know all this? That's simple. My memory has been shot to pieces, edited by them and by me over the years. But I finally put it back together, most of it anyway. Turns out I was one of them. I was part of it. I helped them do it. Somewhere along the line I had an attack of conscience.